This tour is an opportunity for quick recovery of your physical condition and mental energy, an opportunity to discover natural treasuries of National Park Fruska Gora, to feel spirituality nurtured in monasteries there, and get a better insight of the role and significance of this area in making the history and the culture of Serbian nation. Join us on a short but very rich adventure, feel the aromas and flavours of Fruska Gora and get insight in extensive tradition and monuments, the testimony of turbulent history and strong people originated from this area. 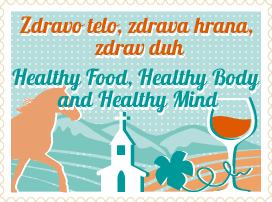 We invite you to enjoy your weekend with Anti-stress Program on Fruska Gora. After 5 Info Days and 148 participants from 5 Municipaliities organised during the January-February period 2015, LEADER Conference of Fruska Gora Danube Region was organised from 1st – 2nd April in Vrdnik, Premier Aqua Hotel. The fifth meeting of Working Group of establishment of LAG FGDR was held on 19th March 2015 in administration building of Beocin Municipality.